It goes without saying, I am not going to see all of the nominees this year. It pains me, pains me, to admit it – not just out loud, but on the inside too. But, little Mac made other plans for our movie season. They involve swaddling and soothing, rather than popcorning and leather seat reclining. In fact, they only really involve anything done within (one) arm’s reach, on the couch. So, we’ll do our best (and spike our cable bill) to see everything that On Demand and Netflix have to offer from the nominee list. Have you checked out the nominees yet? Print out your ballot from here. You can keep track of what you see and what you predict. Everyone does that, right? My early predictions – noting that seriously all I have seen are Maleficent, Gone Girl and Imitation Game (which I loved, review coming soon) – include a lot of pop culture bias and are based largely in the faith that The Academy also votes very biased these days as well. You can’t deny it. I believe it started with Hurt Locker. Blah. An educated, sincere recommendation is to definitely see the three that I have. Imitation Game is smart, fast, artful and inspiring. Gone Girl is wicked. In every sense of the word. And Maleficent is old news, so you should see it just so you can get on board with life. 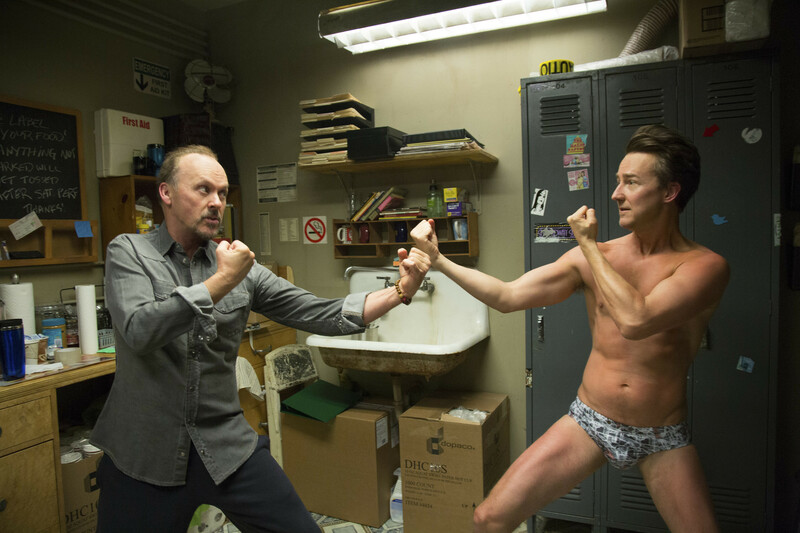 What I am most excited to see are Birdman, Still Alice, Foxcatcher and Two Days, One Night. I haven’t seen them yet, so I am absolutely not positive they’re worth it, but you’ve got Michael Keaton, Emma Stone, Julianne Moore, Steve Carell in a fake nose and Marion Cotillard, who makes everything fabulous. What I am dreading seeing (so I probably won’t) are Wild (boring), American Sniper (waterfalls of new mom emotions) and Selma (I don’t know why – maybe because Oprah is in it). What I’ve taken from the nominee release is that there aren’t a lot to see in the major categories. It’s a narrow field, filled with patriotic and indie schemes that should win Academy voters over, per usual. In that sense, I expect Selma to take home a lot, and Boyhood to as well, since it’s “such a feat.” I am sort of interested – but the fact that t took 12 years to make, makes me feel like it’s going to feel like it is taking 12 years to watch. I’m not against it, I am just not excited. And, that one is On Demand, so for sure I will shell out for it. What are you guys excited about? What have you seen? Who should win? You’ve got less than 60 days now, so start saving those bills, making room for popcorn and picking your favorite reclining leather seat. Hollywood is calling and your schedules need to be cleared and ready for take off one.